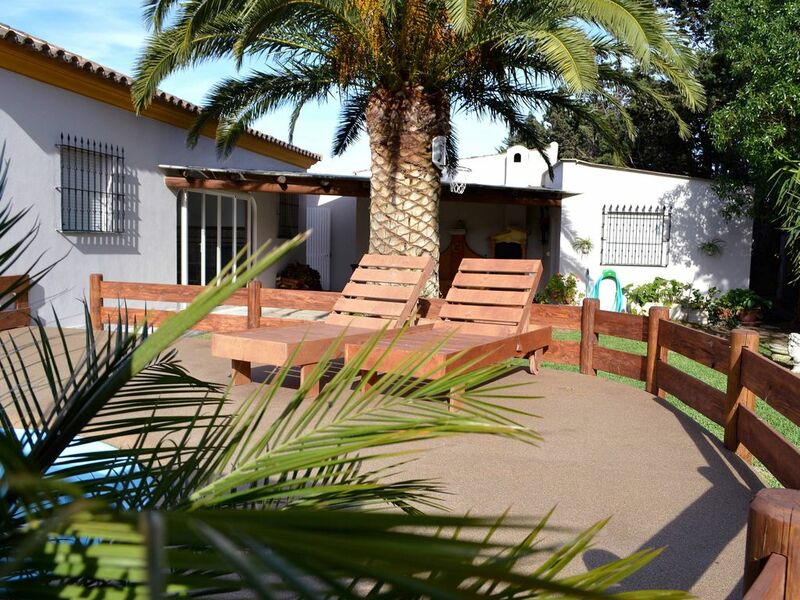 Villa located on a totally enclosed plot, with large garden, swimming pool and private parking. Fully equipped with barbecue and kitchen with dishwasher, different areas and different environments to enjoy, two covered porches and a semi covered terrace, in a quiet area and close to restaurants and supermarkets, where you can see the trafalgar lighthouse. 15 minutes walk from Cala Isabel beach and 20 from Faro beach.